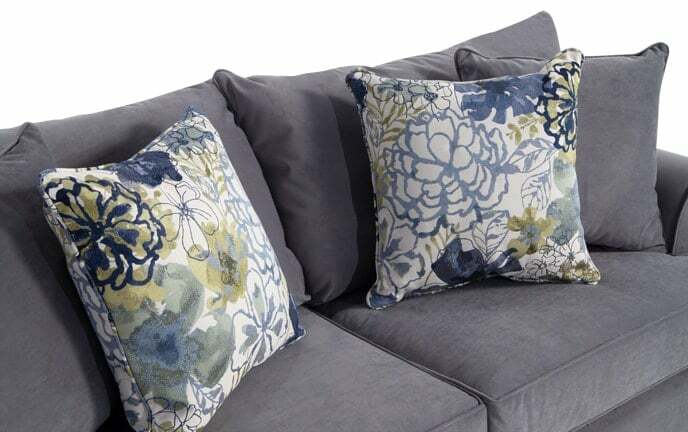 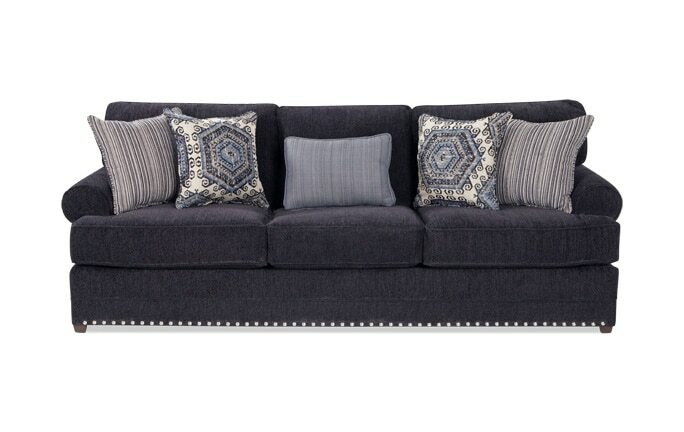 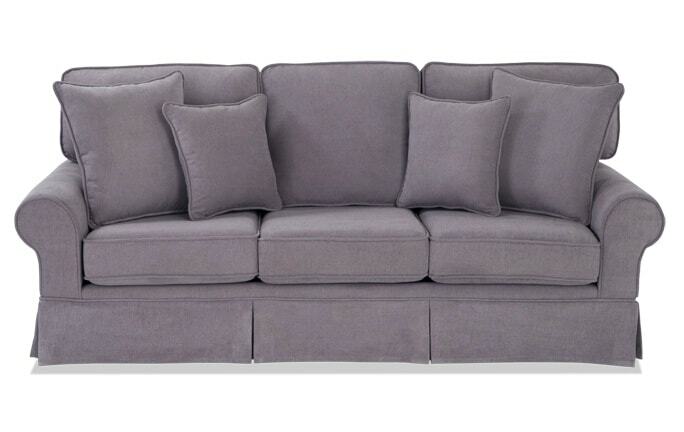 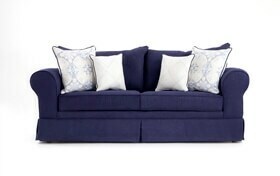 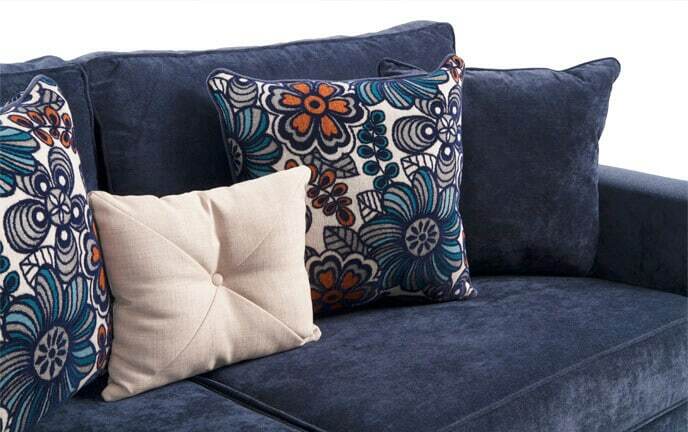 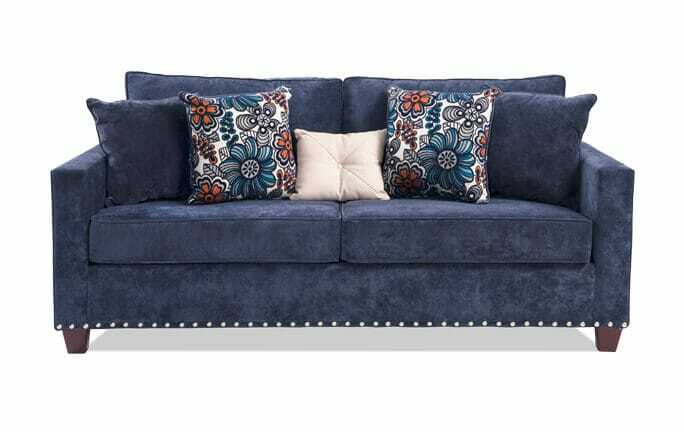 If your living room needs an extra pop of color, then my Oasis Sofa will be a match made in heaven! 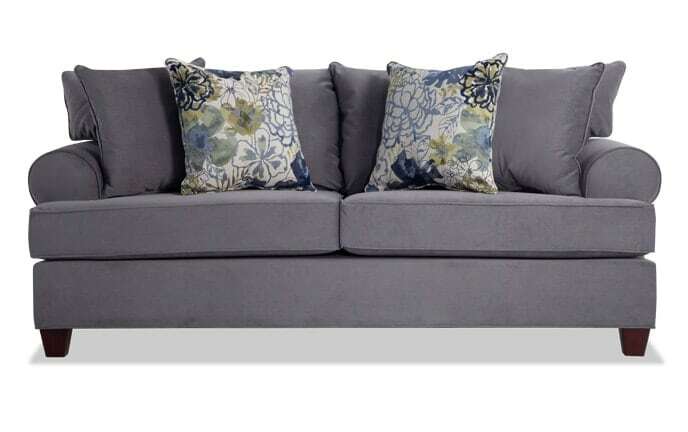 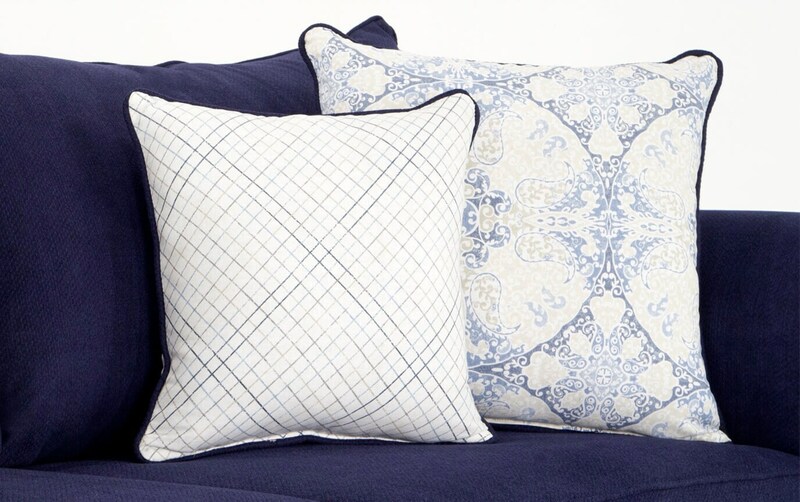 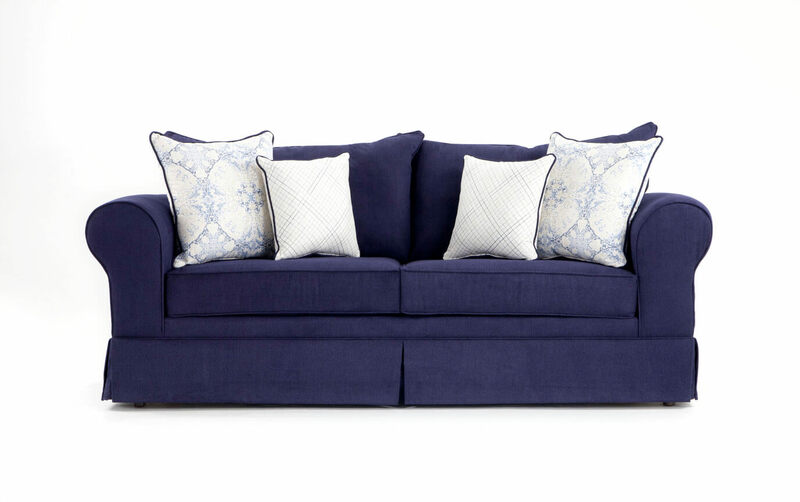 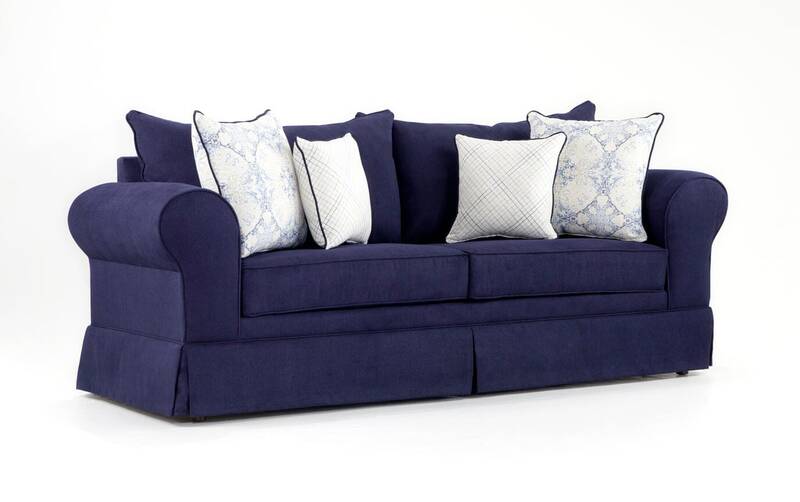 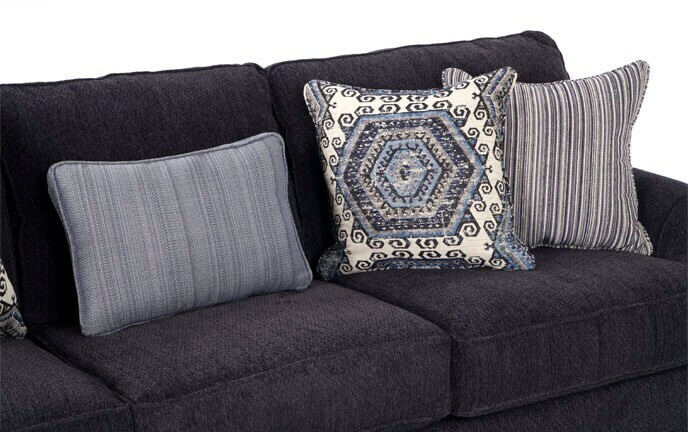 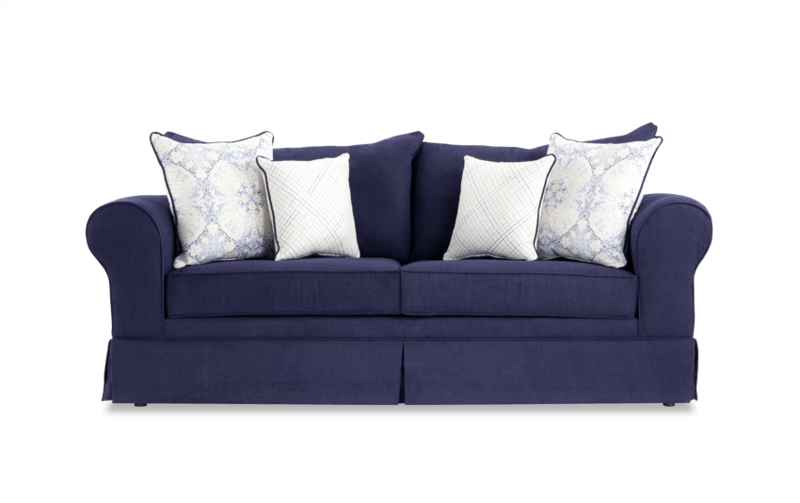 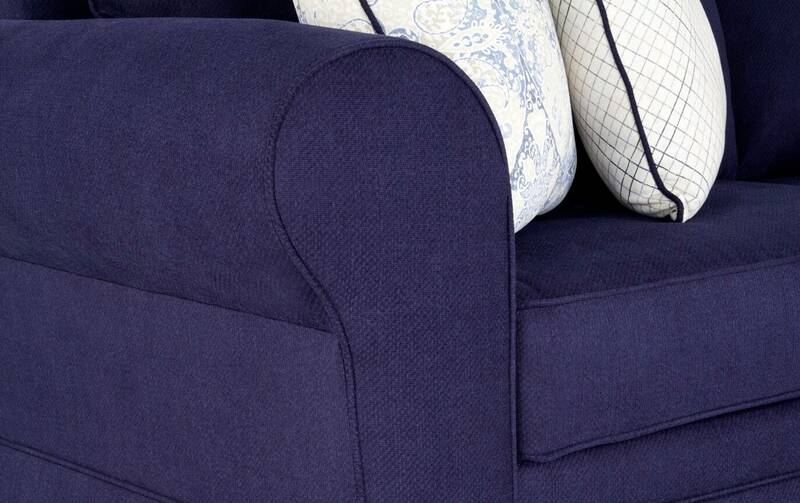 This midnight blue fabric is vibrant and eye-catching, along with the skirted bottom and accent pillows that add to the transitional style! 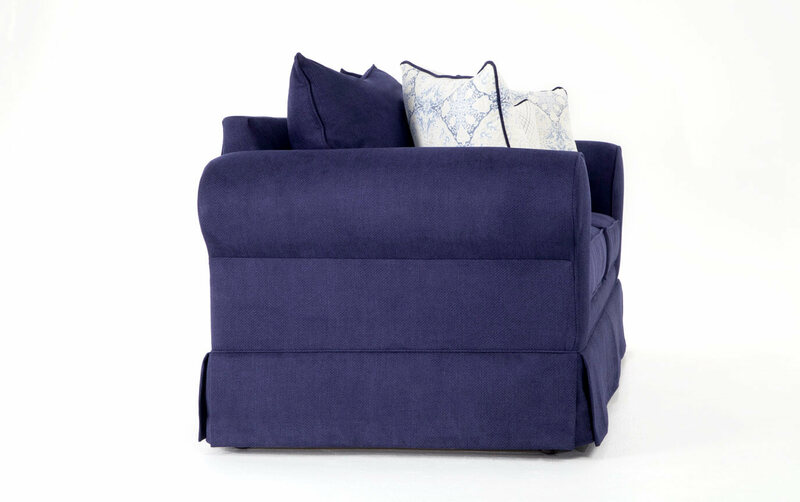 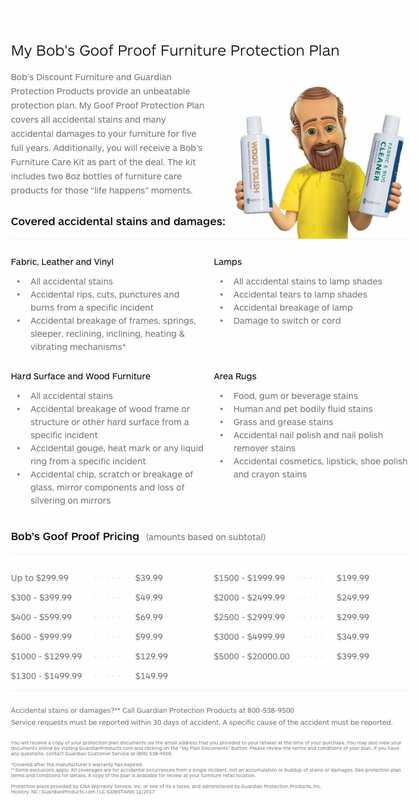 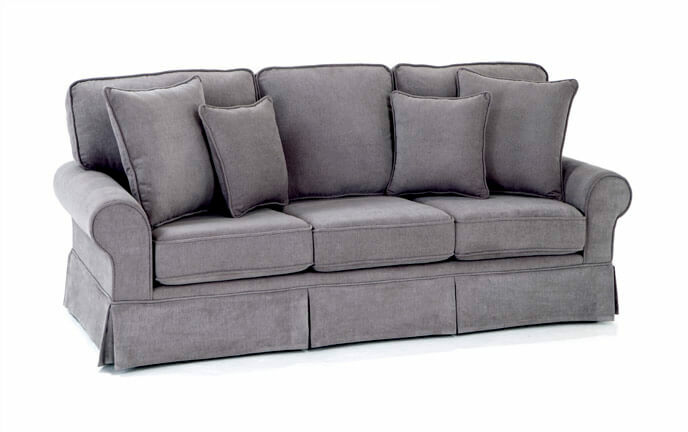 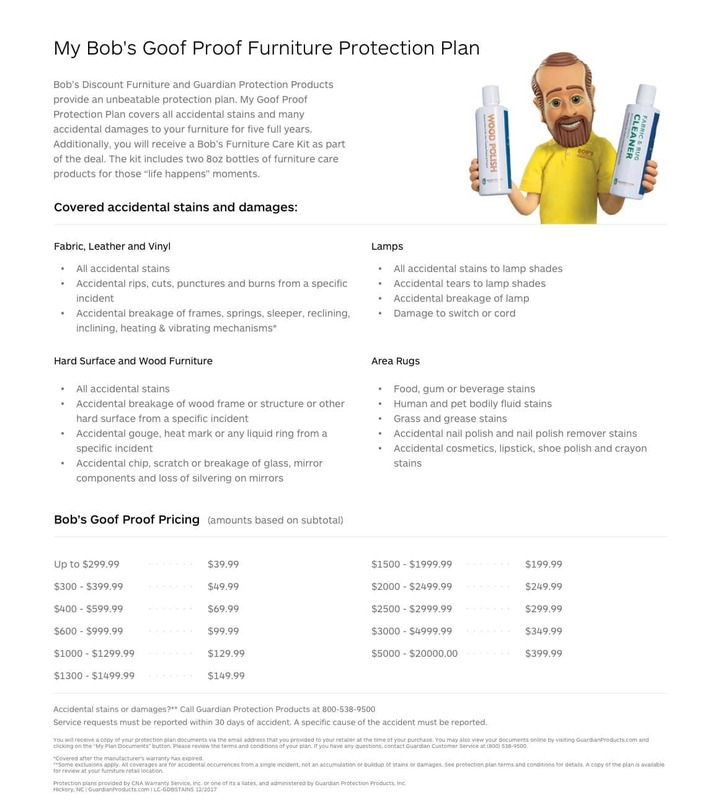 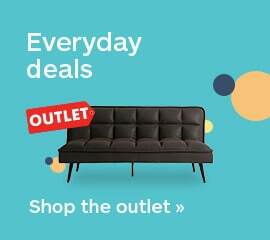 Plus, with my Bob-O-Pedic Memory Foam and reversible seat & back cushions you can enjoy worry-free lounging!